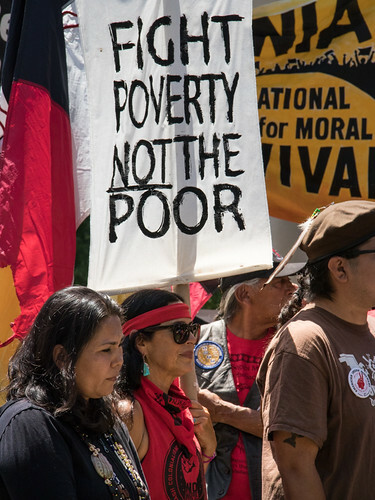 Happening in 31 state capitals around the country, Monday was the start of the 2nd week of a 40 day nationwide campaign challenging the morality of "systemic racism, systemic poverty, ecological devastation and the war economy". Week two's focus: "Systemic Racism and Voter Suppression: Islamophobia, xenophobia, immoral immigration policy, and mistreatment of Indigenous communities." 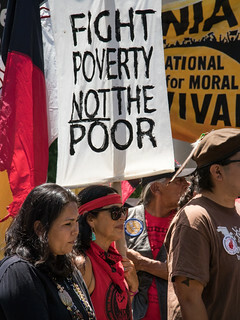 Starting with powerful voices from the American Indian Movement (AIM), Black Lives Matter (BLM) and California Immigrant Youth Justice Alliance (CIYJA), the rally proceeded to the Capital rotunda and then the hallway outside the office of Governor Jerry Brown.